Located at 18201 Collins Ave. in Sunny Isles Beach, Trump Royale Condo has a range of options for those who want to have a truly luxurious condo that they can call home. The units have amazing features, and the building itself is full of amenities that help to make this property a real standout. Let’s examine some of the reasons that you might want to see what is available at Trump Royale. 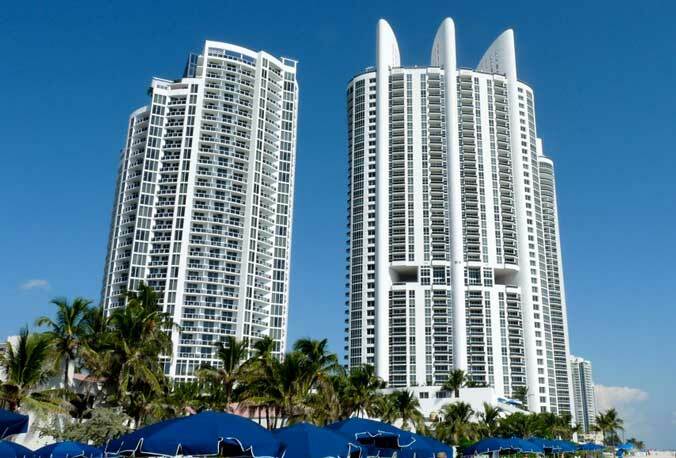 Whether you are looking to buy or rent, there are units that could work for you at Trump Royale Condo. They have a range of sizes and prices among their varied floor plans. You can find properties that might work well for a single person or a couple, as well as those that are a bit larger and that could be a nice choice for a family. 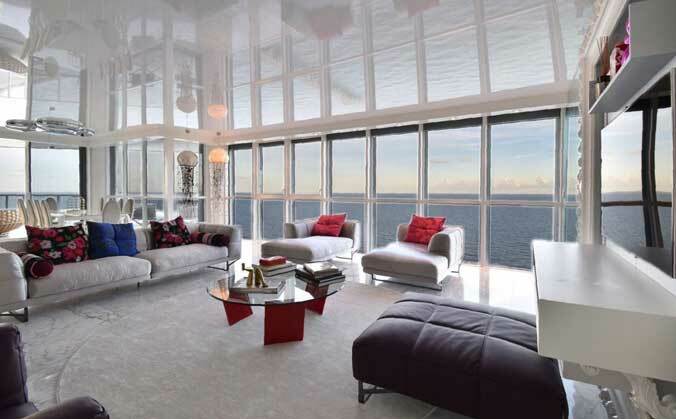 Trump Royale offers some spectacular features including the high ceilings. Depending on the unit, they range from 10’ to 20’. They have floor to ceiling glass windows, which will help to ensure that you have uninhibited views of the surrounding area. The decks are private and they wrap around the unit, so you can head outside to enjoy the weather and get some fresh air. The units have a luxurious feel, and it can often feel like you are living at a resort rather than a condo complex. As you would expect, Trump Royale also offers some fantastic building amenities. You can use the 24 hour concierge and valet service, and you will be able to spend some time relaxing at the owner’s lounge. All of the common areas have high-speed WiFi available. Spend time in the resident club room, and let the children spend some time in the playroom. There is a resort deck, along with a luxury health spa. Those who like to stay in shape and work up a sweat will enjoy the health and fitness center in the building. One of the other stellar features of the building is the rooftop pool with the sundeck, which is for residents only. The features in the condos, along with the building amenities are all fantastic. However, you will also find that the location of the building is yet another one of the main selling points. This building is in Sunny Isles Beach, which is one of the best locations in all of South Florida. Not only is the real estate market doing well here, but you will only be a short distance from the ocean, along with all of the other locations that you might want or need to visit. Whether you are working, looking for shopping, dining, or entertainment, you will never be far from it all when you are living at Trump Royale. If you have been trying to find a place where you can buy a new home for your permanent residence, or you are looking for an investment property, consider what this building might be able to do for you.